2! 4! 6! 8! I force anemones to propagate! 3! 5! 7! 9! Don’t even think about stealin’ mine! 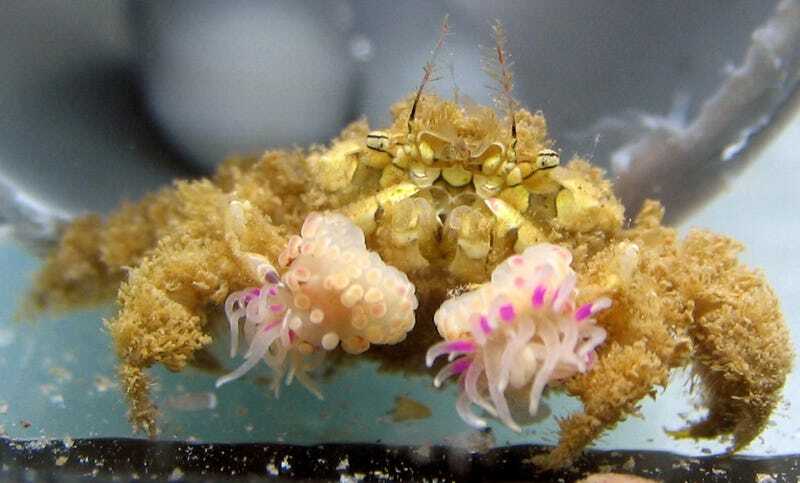 Just in time for the big game, Israeli researchers observed boxer crabs and their adorable habit: Grasping onto sea anemones like puny pom-poms, ready to cheer you and your team on this weekend. And the crabs really like those pom-poms—so much so that they will fight you if you try to steal one, or tear one in half to make sure they’re always holding onto two. “We have empirically shown for the first time that in the vast majority of cases, a crab which has one sea anemone removed will split the other into two new ones,” the researchers write in the paper published this week in the journal Peerj. The researchers monitored dozens of the cheerleading crustaceans and their anemones antics. Every crab observed always held a pair, the bigger the claw or crab the bigger the pom-pom. After the researchers took away one of the anemones, seventeen of twenty one tested crabs split the other one in half so each claw could get one, forcing the anemone to reproduce asexually. The team also staged fights where they took the anemones from one crab, then put it into a tank with an anemone-toting crab. This immediately resulted in a fight and eventual pom-pom theft in 16 of the 22 total fights. The behavior is exciting not only because it’s really, really strange, but might be the only example of a non-human animal controlling another animal’s reproduction. 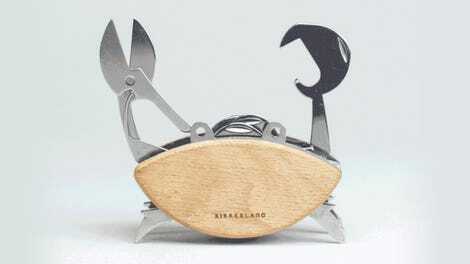 But we know what’s really happening: The crabs will do anything to support their team. Go team!